Pink summer flowers, a photo by PhotoPuddle on Flickr. I've realised I still have some photos from the summer which I've not yet shared with you so I think I'd better do that soon before I forget when they were even taken. 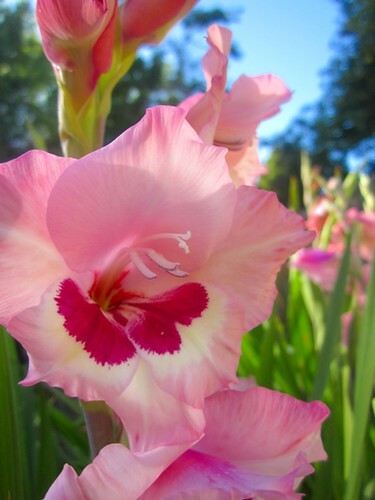 Here is one of a lovely pink flower taken just before summer ended. It was just a quick snapshot really but I love the colours. The pink, the blue and the green are so vibrant. I am just pleased that today was a lovely warm autumn day or I'd really be missing summer right now.